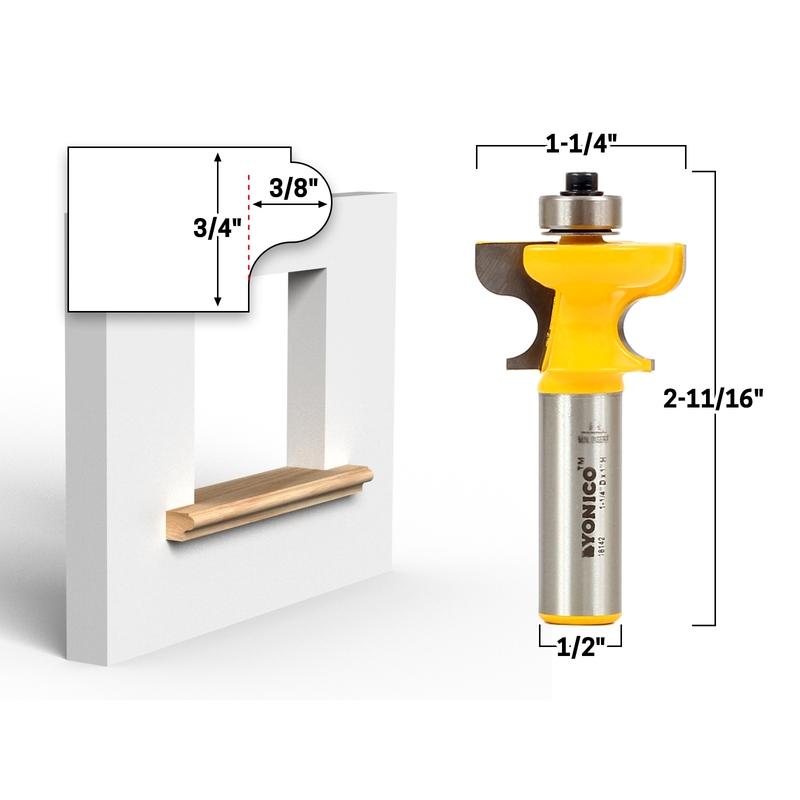 This window stool router bit will cut stock up to 3/4" thick and 3/8" deep. The fillet is 1/16". The bit's overall length is 2-11/16" and the shank is 1/2". Add a decorative edge to any window stool giving your window a custome trimmed look. A window stool is the wooden ledge that sits on the window sill which protrudes somewhat making a small shelf or mantle.